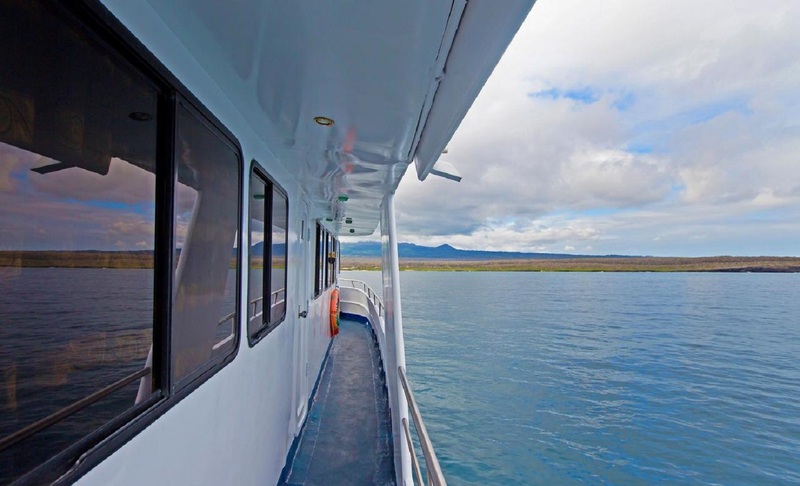 Experience a thrilling Panga ride to enjoy the shallow mangroves and see close up turtles, rays and penguins. 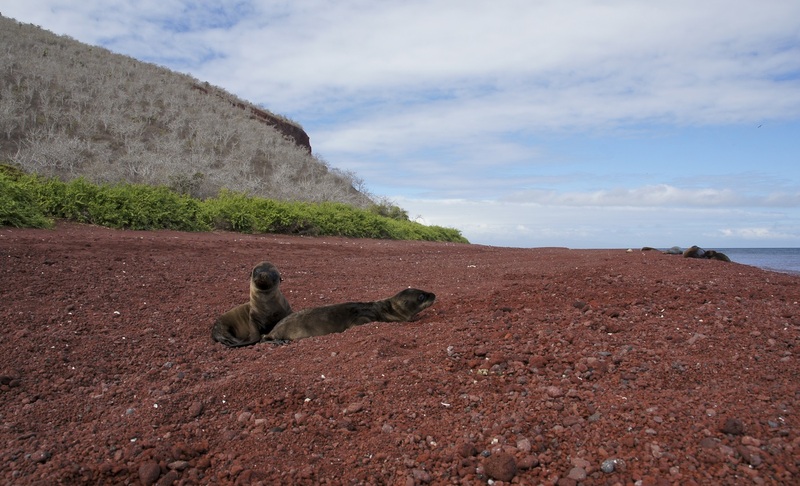 Visit the Charles Darwin Research Centre to view exhibitions about the Galapagos island history and conservation methods. Meet rare and enchanting animals such as the Galpagos Turtle, yellow skinned iguanas and the blue-footed boobies. 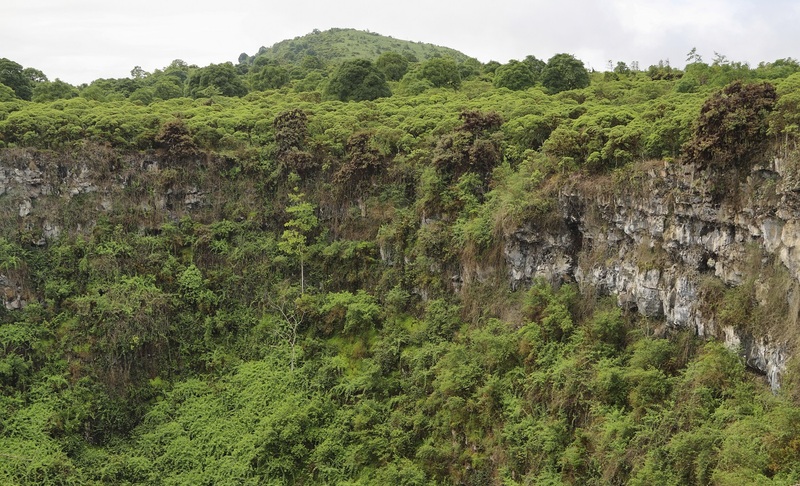 Explore the least visited islands of Isabela and Fernandina to see impressive volcanoes. On arrival, check into your hotel and feel free to explore the culturally and historically vibrant capital city of Ecuador. 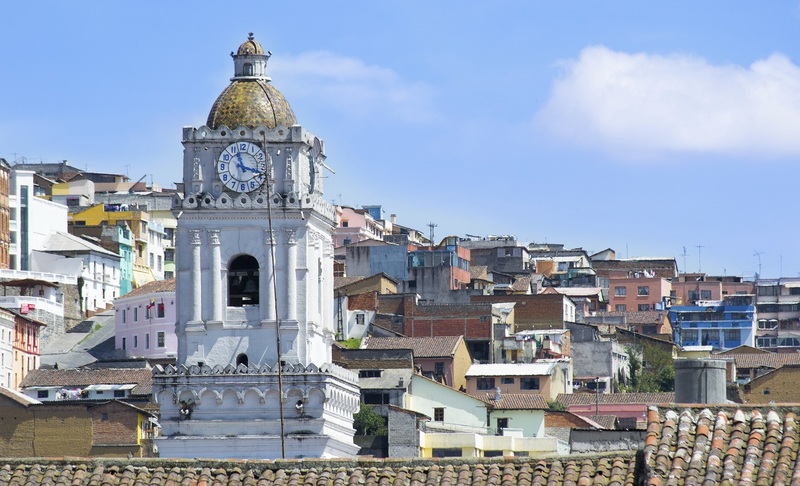 Quito is lined with a variety of shops, churches occupied by fine art, overflowing market stands, hat makers, diverse food and nightlife displays. This city is well known for its ‘Old Town’, which is a UNESCO World Heritage Site comprising stunning colonial monuments, sculptures and architecture. 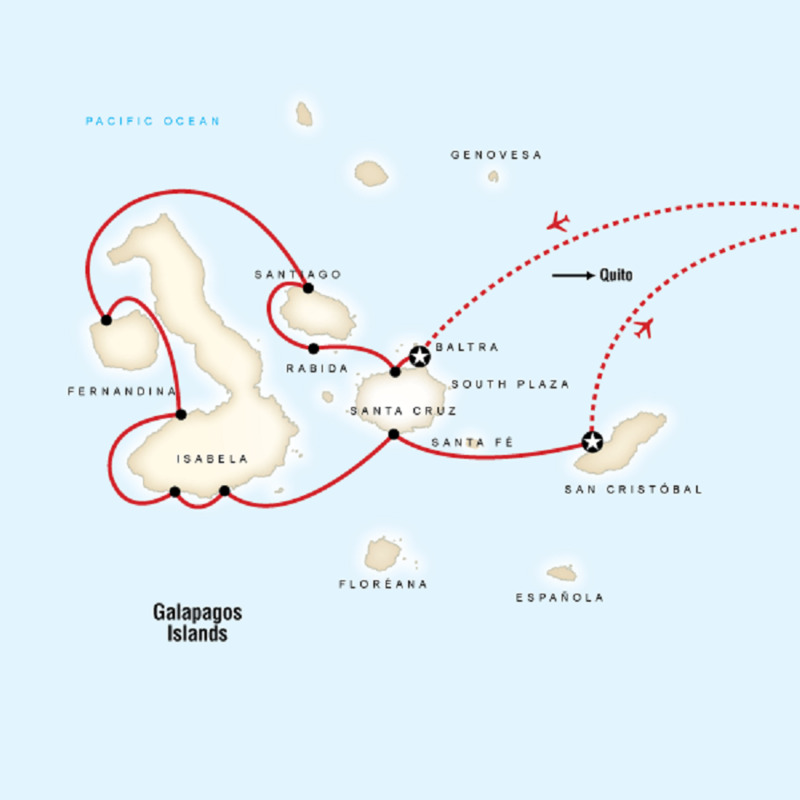 Board a morning flight from Quito to the Galapagos Islands. 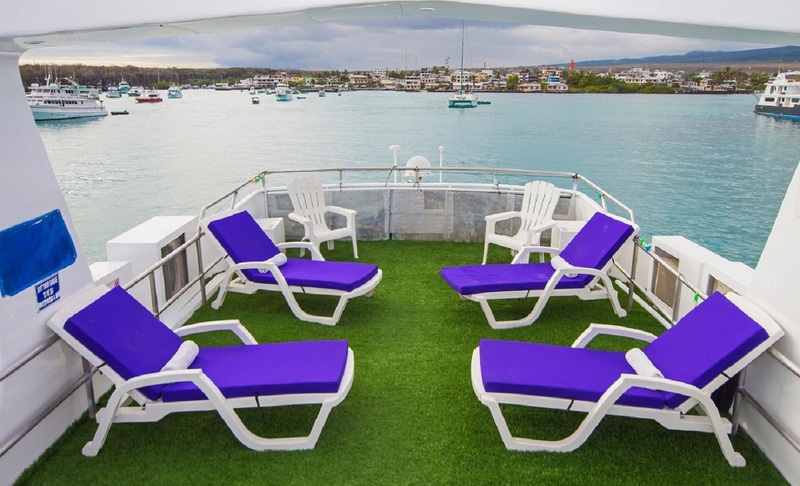 Then transfer to the vast land of Puerto Ayora in time for lunch by embarking aboard the gracious Estrella Del Mar. 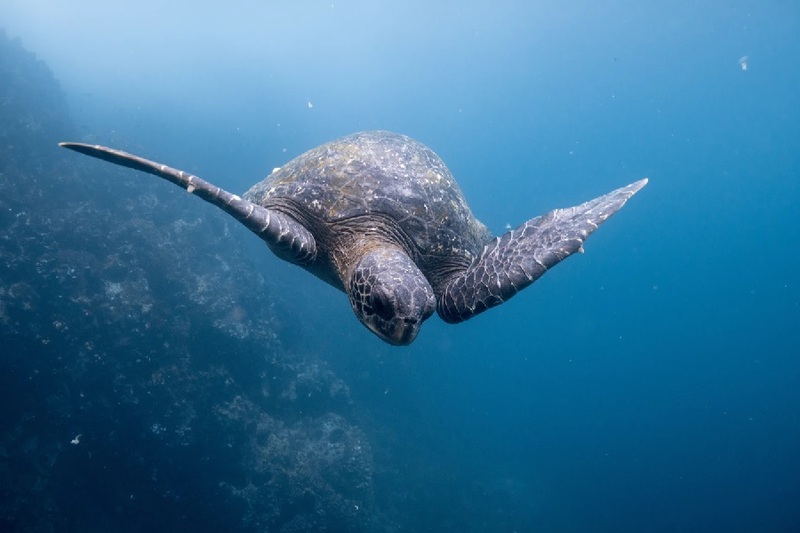 By the afternoon you will witness the giant tortoises in their natural environment at the El Chato Reserve in Santa Cruz, along with a lagoon and lava patterned tunnels housing owls at the entrances. Santa Cruz’s underground lava tunnels are found throughout the island extending several kilometres. Spend the morning at a small island named Chinese Hat to explore more enchanting lava flows and tunnels before taking a refreshing dip into a protected bay of turquoise waters in search for intriguing fish and seas turtles. By mid afternoon, arrive at the red sand beach and salt water lagoons of Rabida, to observe wading flamingos as well as the rare prehistoric relatives of the humble pelican, nesting in low-lying bushes. The excursion will be completed by a snorkelling session to view the majestic sea creatures in the beaches of Rabida. 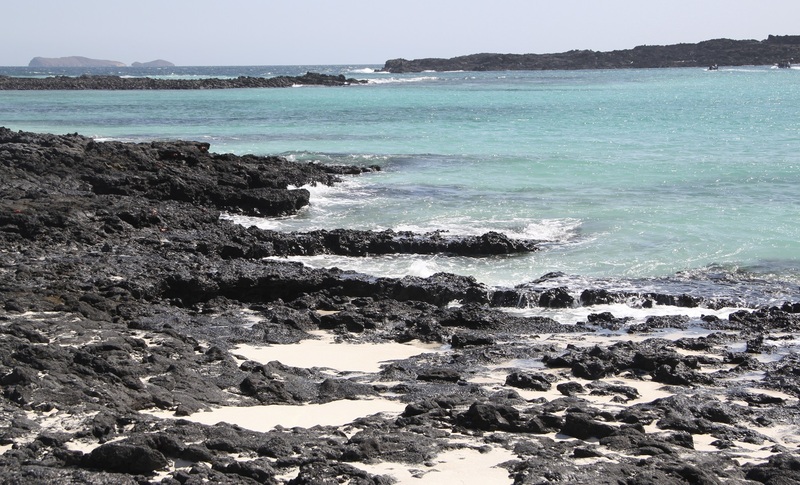 The day will start at Playa Espumilla which is one of the most tranquil beaches at the Galapagos islands to see the alluring thick mangroves, sea turtle nesting sites and the hundreds of birds nesting on the edge of the towering cliffs of Buccaneer Cove. 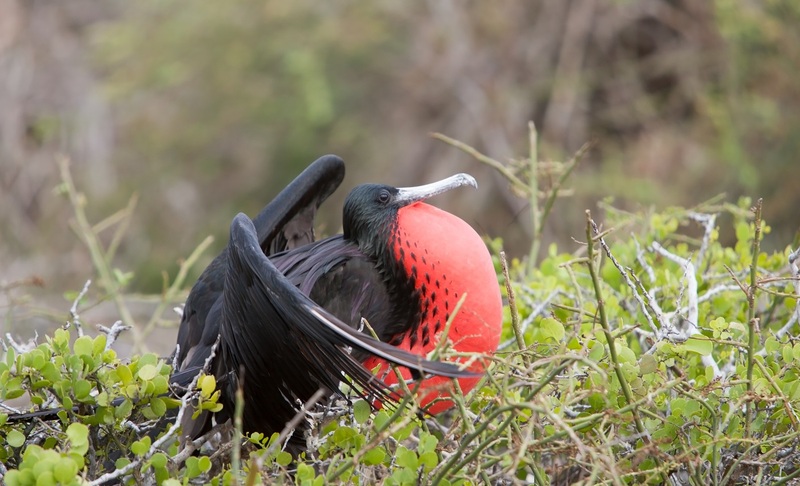 Later, visit Puerto Egas also known as James Bay, to spot the local plethora of wildlife such as a variety of shore birds, reptiles, hawks and herons. In the late afternoon you will get an opportunity to view a picturesque salt crater, as well as dark sanded beaches and tidal pools. 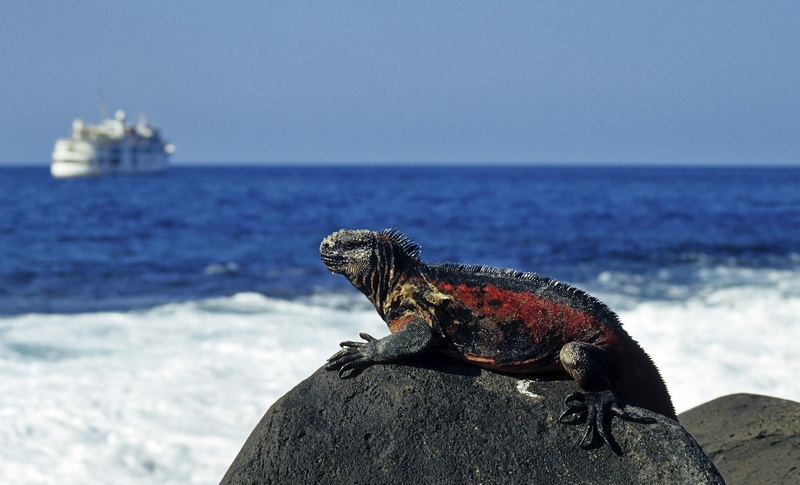 Start your morning at Punta Espinoza in Fernandina by following pathways along the beach and across lava trails to feast your eyes on the largest colony of marine iguanas and sea birds. By the afternoon, you will be immersed in a unique walk at Urbina Bay to view the extensive marine reef that was raised out of the water in 1950 to uplift sea sculptures, dried coral, shells and other ocean formations. Urban bay is also home to land iguanas with yellow skin, brown pelicans, flightless cormorants, marine turtles and rays just to name a few. 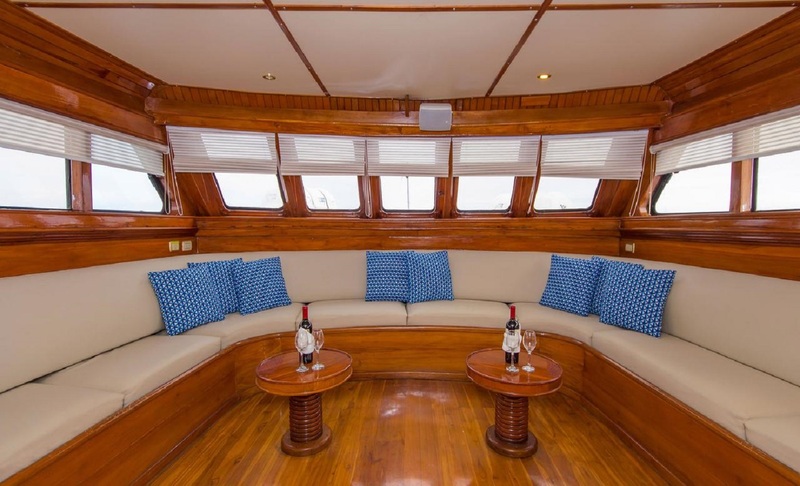 Enjoy a panga ride within the shores and beside the shallow mangroves of Elizabeth Bay to keep an eye out for marine turtles, rays and penguins sheltered in their natural environment. 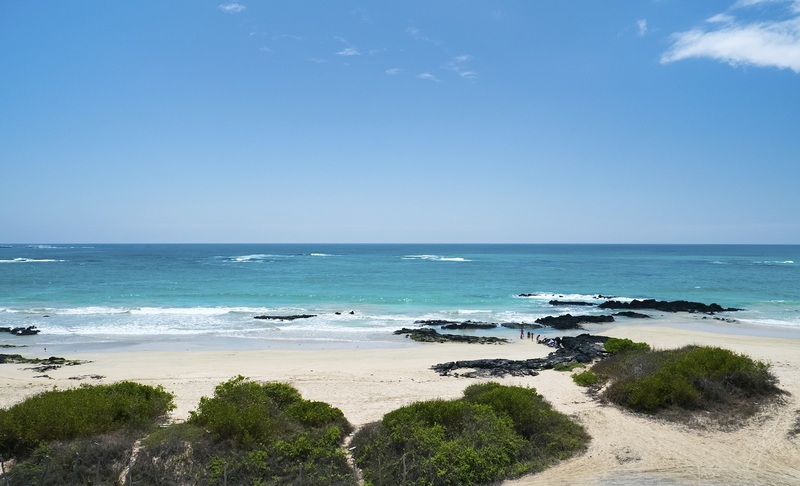 By the late afternoon, visit the newly opened Punta Moreno with its black lava flows along with lagoons home to a wide range of wildlife like the famous Darwin’s finches, Galapagos doves, penguins and other sea birds. 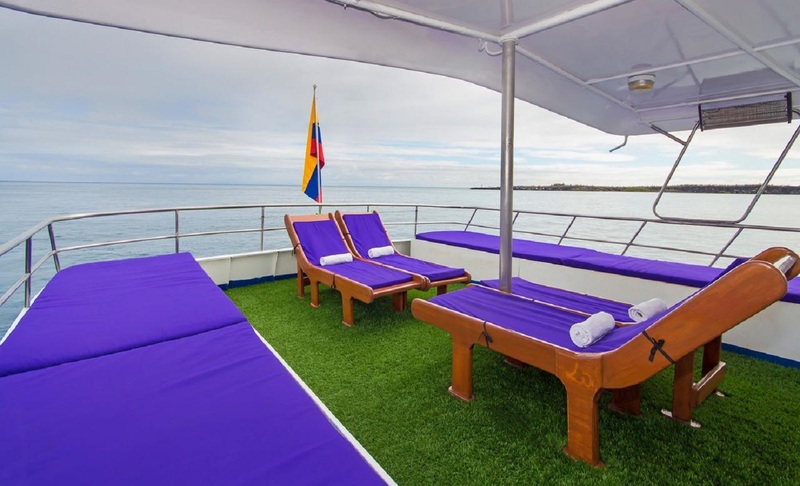 The scenic location further provides you with a panoramic viewpoint of the three most active volcanoes on the Galapagos Islands known as, Alcedo, Sierra Negra and Cerro Azul. The morning will kick start with a lifetime opportunity to hike towards the rim of Sierra negra which is a 10km wide volcanic crater. 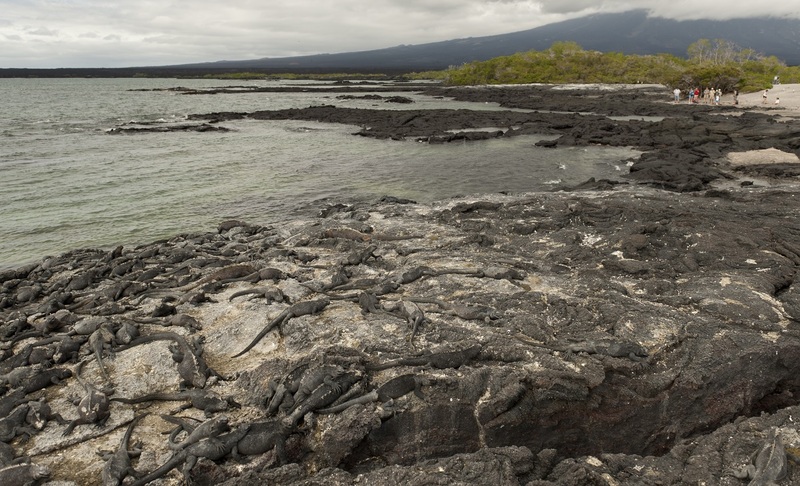 Experience the volcano's moon-like landscape of lava fields and fumaroles. 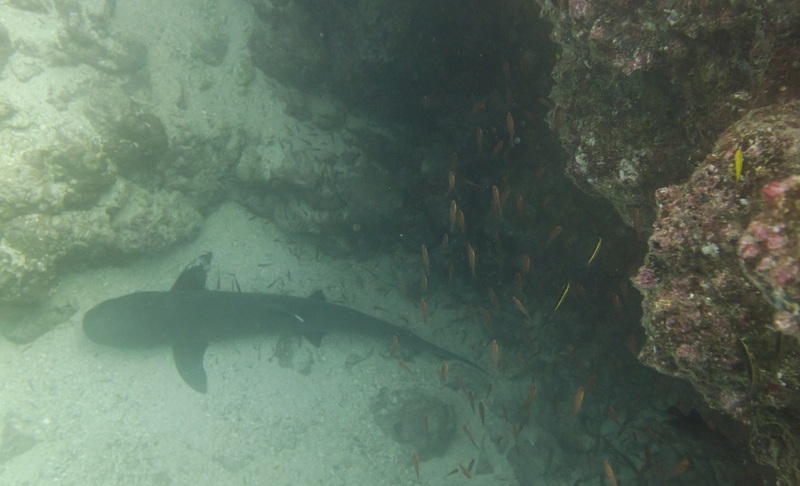 This will then be followed by a Shark Alley excursion for all those marine animal lovers, to watch manta rays, rare Galapagos penguins, diving blue-footed boobies, pelicans and frigate birds and whitetip reef sharks swim between rock channels. 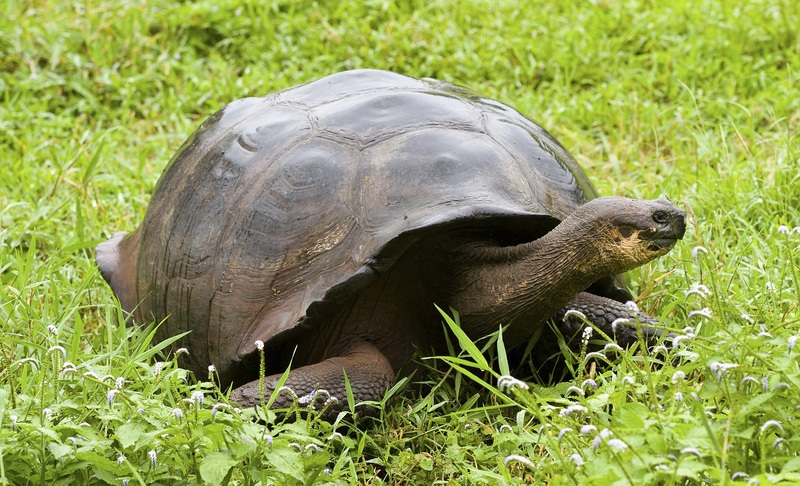 By the end of the day you will walk through wetlands to enter an animal breeding centre which aims to protect the noble giant tortoises on the brink of extinction. 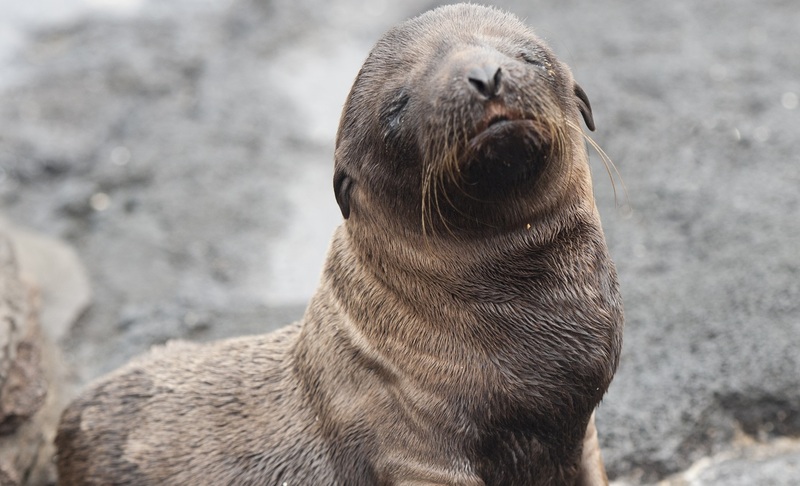 Morning will be spent in the Charles Darwin Research Station and training centre that allows scientists, researchers and volunteers to work together and conserve the Galapagos ecosystem and wildlife. You will receive a tour of the exhibition centre and view photographs of recent volcano eruptions, charts outlining geological formations and drawings of evolutionary development of endemic species. Meanwhile, observe the many species of tortoises and land iguanas as well as young turtles kept in the centre's nursery. 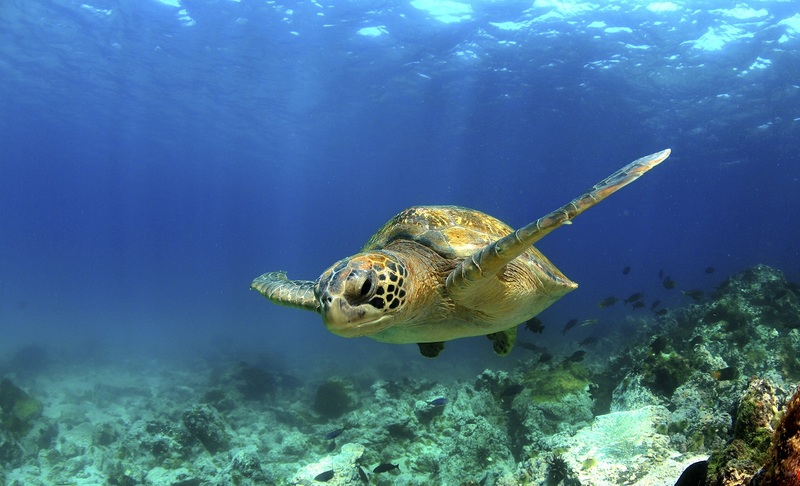 After lunch on board depart onto the beautiful white beach of Tortuga Bay and walk along the mangroves looking for marine iguanas and birds or journey in a kayak and explore the shallow waters to view sea turtles, manta rays and Tintoreras sharks. Disembark the Estrella Del Mar and walk through the picture perfect old town of San Cristobal before entering the San Cristobal Interpretation Centre which includes three exhibits featuring Natural History, with illustrations of natural events and how different species arrived to Galapagos; Human history, comprising discovery and island population growth; and Conservation; including current preservation efforts. Return to Quito to arrive back to your hotel. Feel free to explore enchanting Quito for the last time before you depart back home. 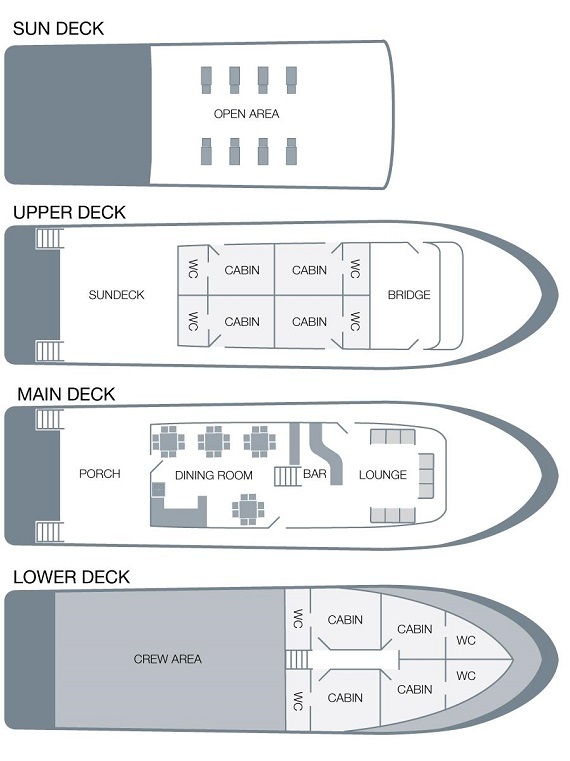 Remember to ask your CEO who can help with travel arrangements and extend your adventure. 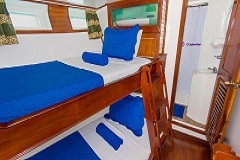 Bunk beds (upper and lower), private ensuite with shower, toilet and washbasin, storage space and air-conditioning.